The future of the industry is dependant on getting youth excited about horses and involved in the industry. 5 Star Equine is very dedicated to supporting youth organizations and encouraging horsemanship and learning with horses and this month we are going to take a look at what you can do to get youth more active in your organization and shows. Kids want to have fun. If you can make your organization fun for kids, they will tell their peers and a fun organization never will lack in participation. The biggest challenge with this is discovering what is fun for the kids, not necessarily an adult’s version of fun. As adults we view competition as fun, and many thrive on the pressures involved. This is not always a child’s version of fun. Think of activities that kids can do together as a group that are fun for everyone. Games on and off horseback such as Simon Says can be fun for all while also a great opportunity to teach basic horsemanship. Great youth organizations think outside of the box when planning youth events. Lip Sync contests, stall decorating, and even bouncy horse races are great activities to get those youth who are not yet horse owners involved and a chance to involve the youngest members before they can ride. The local 4 - H, FFA, and Pony Clubs can be an excellent place to reach out to for new members. These youth are already developing a passion for horses and may be receptive to another horse club. Your organization can sponsor a clinic for these local organizations. (Tip: Utilize trainers in your association they will often donate their time). You can also hold a special event to invite these members to. 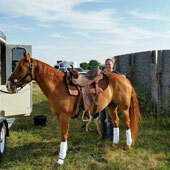 Perhaps an all novice show or even an open horse show added to your scheduled events. The key is to make people feel welcome and make sure everyone has fun! Plan a Youth BBQ or Pizza Party on the day you invite in these members. Show them what your association has to offer. 5 Star Equine is very dedicated to supporting youth and the many organizations. 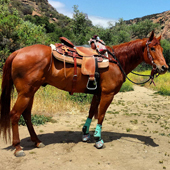 One of the ways they help to get more kids involved with horses is to put their money (and products) where their heart is. “Partnering with the associations for our youth helps 5 Star to introduce to our youth riders the importance of having the best quality products, that will give their horse the best protection and the best performance from them.” Explained 5 Star owner Terry Moore. 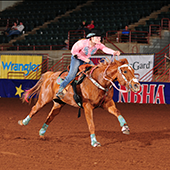 “It also exposes 5 Star’s quality products to the horse industry's next generation of horsemen and horsewomen.” 5 Star sponsors many youth organizations such as the National Little Britches Rodeo Association, AQHA Youth World Show, multiple College associations and numerous other youth groups. Their dedication to the next generation is not only a smart business strategy but a reflection of the heart of this family run business. developed a passion for horses early on that when they were older and able to make their won money they pursued. Not every future horseman will be able to have a horse as a kid, but they can develop a passion. Sponsor events at schools and online – perhaps a coloring contest of horse images, a horse themed word search or “caption this photo” contests. You can reach that horse crazy child who is not so privileged to own a horse. Offer a riding lesson or afternoon with a horse as a prize and you will have the child hooked for life. These “horseless” kids make great show volunteers as well as they are often excited just to be around their favorite animal and to learn more. It is often said it is far harder to get a new recruit than maintain the ones you have. Take heed of this advice. Once you have youth members do not become complacent. You need to keep your association fun for all members and ages. Keeping that child through their high school years presents new challenges. Consider developing a scholarship that older youth members can look forward to as they grow in the association. Develop roles for advancing youth where they can mentor the younger members and keep an eye on younger siblings as they come of riding age. Teach your youth members how to fundraise, run proper meetings and prepare and stick to budgets. These skills will be valuable in every facet of life as they grow with your association. Hold many events through the year to keep your members involved and having fun. Promote a team environment so the members can develop relationships and bonds from year to year. At the end of the day, the best advice we can share is to make the youth a priority. 5 Star Equine recognizes that without building a love for horses in future generations we will all be at a loss. Horses can teach a child many excellent lessons on responsibility, love, hard work and dedication. These are lessons we want to make sure remain in an age of video games and technology.